One of the most delightful parts of my job is getting to learn new things all the time. 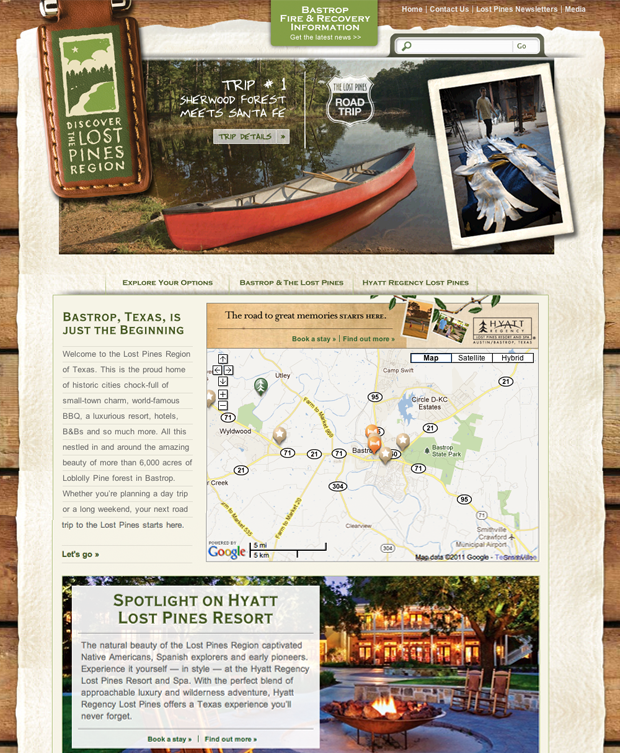 For this travel website, sponsored by the Hyatt Regency Lost Pines and Bastrop Chamber of Commerce, I discovered all about this unique region of Texas, its fascinating history, and its pivotal role in Texas music and culture. And then I got to write about it. Bastrop, Texas is just the beginning. Welcome to the Lost Pines Region of Texas. This is the proud home of historic cities chock-full of small-town charm, world-famous BBQ, a luxurious resort, hotels, B&Bs and so much more. All this nestled in and around the amazing beauty of more than 6,000 acres of Loblolly Pine forest in Bastrop. Whether you’re planning a day trip or a long weekend, your next road trip to the Lost Pines starts here.